A major player in the PVC sector, BENVIC EUROPE enjoys strong competitive advantages. Producing high value-added materials today, while imagining the chemistry, PVC and alloys of tomorrow, is to stay in tune with the needs of our fellow citizens or even anticipate and thereby contribute to the development and sustainability of our customer manufacturers. Our experience of over 50 years, combined with our diverse expertise allows us to work on extremely diverse projects and markets. In recent years we have established a new organisation to strengthen our skills and promote synergies between our businesses, our various European production sites and our international branches. Our priority is to put this strategy of striving for excellence at our customer’s service. 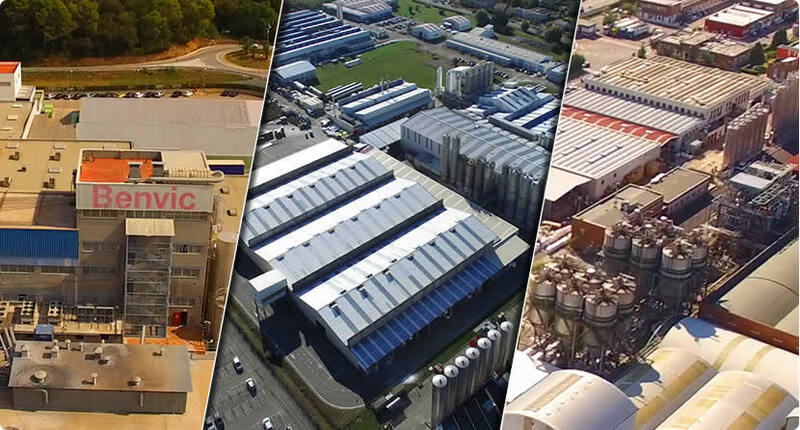 A solid industrial and commercial experience and membership of Invest Industrial, leading European group in business development, confirms our appeal, our great competitiveness and our status as a world leader in our target markets as a producer of compounds, PVC powder, thermoplastic alloys and ready-to-use stabilizers. We exhibit our determination to face new challenges, establish our presence in new territories, to imagine increasingly innovative offers that will participate in building the future of PVC, and if it is still necessary, producing proof of its abundant usefulness, its incredible diversity and its absolute necessity.